Strategic UAV of US Air Force conducted reconnaissance at the line of demarcation in the Donbass. The strategic unmanned aerial vehicle of the US Air Force RQ-4B Global Hawk on Wednesday made another multi-hour reconnaissance flight along the line of demarcation of parties in the Donbass, follows from the monitoring data of Western aviation resources. According to them, an American long-range unmanned aircraft, tail number 10-2043, taking off from an air base at Sigonella in Sicily, in the morning most of the day shuttling from north to south along the sides of the demarcation line without crossing it. The scout carried out a flight at an altitude of about 15.5 thousand meters and a speed of 600 km per hour. Taking into account the possibilities of reconnaissance, the RQ-4B global hawk could monitor the entire territory controlled by the LNR, as well as a large part of the territory of the border regions of Russia. At the same time, he flew several times to a distance of approximately 40 to 60 km to the regions bordering the Lugansk region of the Belgorod, Voronezh and Rostov regions of Russia. At that time he was over the Novopskovsky district of the Lugansk region of Ukraine. 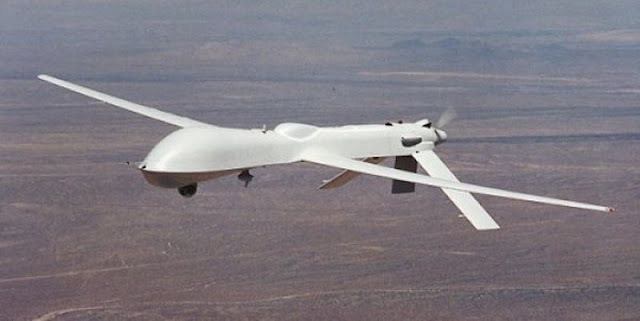 The heavy American drones entered the airspace of Ukraine in the morning from Romania to the north of Moldova and continued the flight to the east over the Kirovograd and Dnipropetrovsk regions to the Donetsk region. According to open sources, the RQ-4B Global Hawk, carrying a high-resolution camera, an infrared sensor and a radar for tracking moving objects, is designed to conduct strategic air reconnaissance to a depth of up to 300 km in the enemy's territory. When flying at high altitudes, Global Hawk is capable of surveying large areas, reconnaissing high-resolution point targets and transmitting intelligence to the command in real time via a satellite link. RQ-4A Global Hawk, with a takeoff weight of 15 tons and a wingspan of about 40 meters, can patrol for 30 hours at an altitude of 18,000 meters. The cost of the strategic drone RQ-4B Global Hawk is estimated at $ 140 million, and the flight hour costs $ 31,000. This drone was repeatedly used last year to carry out reconnaissance in the vicinity of the uncontrolled territory of the Donbass. Since the beginning of this year, at least six reconnaissance operations have been recorded at the line of demarcation in the Donbas, including 1, 7, 9, 15, 20 and 24 January. 0 Response to "US unmanned aerial reconnaissance in Donbass"